There is a fairly negative perception surrounding the concept of using telephone scripts in sales due mostly in part to a couple of sales myths that are rooted in fairly deeply. 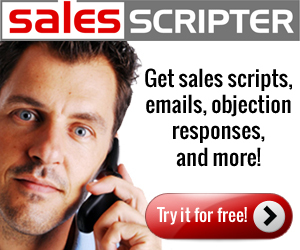 Most individuals have the belief that scripts are for a junior level sales person or more of a telemarketing role. That’s completely false because scripts are all about preparing what you’re going to say and ask and sales professionals on all different levels and areas can benefit from better preparation. 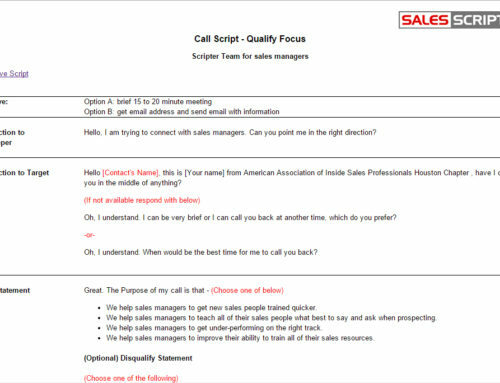 Next, some believe that working from a script compromises the sound of the sales person which basically means they believe that when working from a script, a sales person sounds less polished. That’s entirely false because a sales script helps individuals be more prepared and improves how they sound. What is true is if they read directly from the script, this can have a negative first impression. It is important to know the script so you don’t have to read directly from it. This is more of an example of bad execution instead of a bad sales tool. 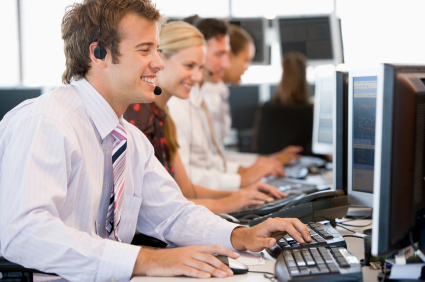 Improve confidence: It’s understandable to have a lack of confidence when making sales calls. Prospects are often very difficult and it’s a very challenging task. When utilizing sales scripts, you improve your preparation for all of the different directions a call can go and improve your confidence. 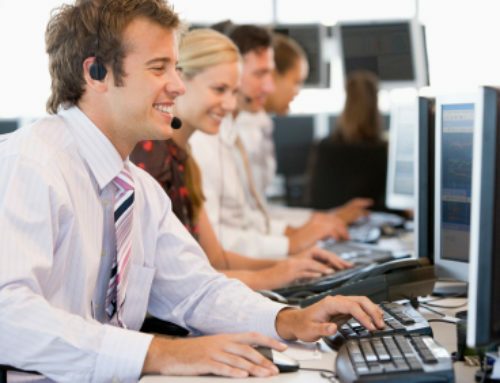 Decrease stress: There can be an extremely high level of stress with making sales calls. The reason being that you face potential rejection and you don’t know exactly what direction a call will go. You can decrease this stress by improving your confidence and level of preparation because you’ll be more prepared with what to say and ask. Increase activity level: Our activity levels can be negatively impacted due to high stress and lack of confidence prevents us from even picking up the phone to make calls. 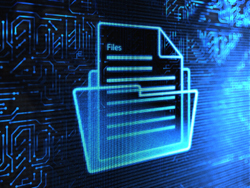 This occurrence can be decreased and activity levels increased by using telephone scripts. 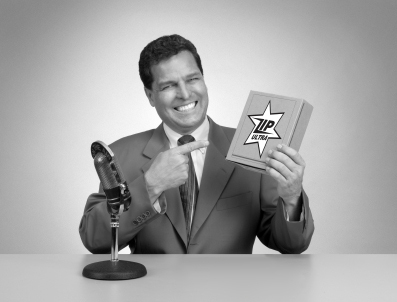 Improve impression: You’ll be more prepared and sound more polished when you work from a sales script. This improves the impression made on the prospect and that can have a positive impact on the flow of your conversation. Improve productivity: Time gained with a prospect is incredibly valuable. If you’re able to ask the right questions at the right time, you’ll improve your ability to get the most out of each prospect interaction you have. With using telephone scripts and being prepared, it’ll help with this as well as improve your overall productivity. 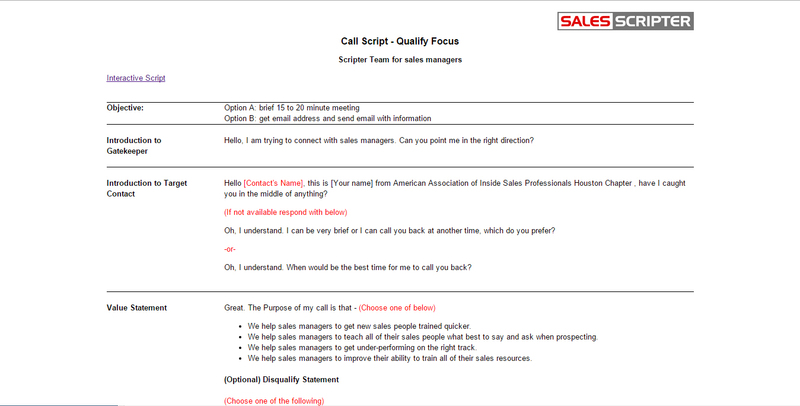 SalesScripter provides a call script generator helping sales pros to develop telephone scripts.